I find myself a little stunned to realize that it’s Halloween already and we’ve come to the end of Octoberguest!. I’ve had so much fun this month and am very grateful to all of the wonderful writers who so generously contributed their work to the Handbasket. And I’d also like to thank everyone who took the time to comment on the posts–or to simply read them. Without you all, well, it just isn’t any fun! I’m so excited to have you here, EPD. Welcome! Being a member of the silent majority, I has a special fondnesses for Halloween. And by silent majority, I means those of us that is dead. And there is a lot of us. Fortunately, spirits does not take up much spaces, so real estate issues is basically non-existent for us. Which is a good thing in this market of bearishness. But I digresses. I loves Halloween. Halloween is superior to all other holidays. Fouth of Julyings and the Russian May Day paradings is mere child’s play compared to the raw pagan rambunctiousness that is All Hallows’ Eve. No fireworks or orderly rows of ICBMs rolling down Red Square holds candles to joyful children beating the hell out of a skeleton piñata, or tricking old people out of the sweets that they has spent their hard-earned Social Security benefits on. And Halloween gives you great anecdotes that no other celebratory day can. Admiring Adams’ pluck, Jefferson good-naturedly kicked him in the knee then proceeded to present him with several head-buts to the nose. Now those was the days when Halloween was fun, and politics was civilized. Indeed the times has changed. 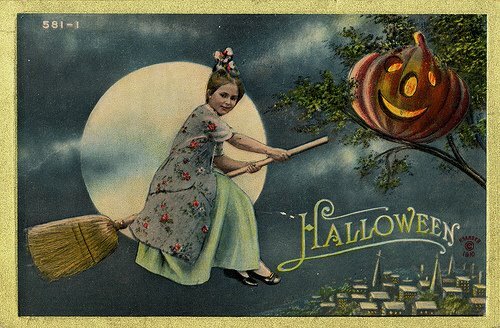 One of the greatest political figures to advocates Halloween was President Dwight Eisenhower. Even back in his early Army days, he was known to be quite the scamp when October 31 would come rollings around. As General George Mosely’s executive officer in the early 1930’s, Eisenhower would often apply shoe polish to eyepieces of binoculars when he was denied his requested treats. Even amongst the dead, it is hard to find a greater advocate for Halloween than Dwight David Eisenhower. Excepting maybe for Martin Luther. Now, HE loved Halloween so much that he called the Catholic Church out on it. Thesis 96: Halloween rocks! Dig it. During his appearance at the Diet of Worms, Luther protested that there must also be a Diet of Brains, and a Diet of Slimy Eyeballs, which was directly responsible for the abundance of cold spaghetti and peeled grapes in modern day recreational haunted housings. As for us dead peoples, ghosts like me owes Laura Benedict much gratitudes for allowing our love of Halloween to be made known on this most auspicious of days. I miss you, EPD! Thanks so much for coming by–stay safe. I know things are pretty raucous over there today! Tomorrow: It’s November! After all the excitement of Octoberguest! and Halloween, I expect I’ll need a nap…But on Sunday, Kyle Minor will be here. See you then! The hobo costume consisted of work clothes and some shoe-polish whiskers. The ghost? A sheet with eyeholes cut into it. Now, these kids can be Batman, Spiderman, the howling thing from the Scream movies, zombies, ninjas, whatever they want to be. Nary a hobo or simple ghost in sight. So my question to you, o knower of unknown and unknowable things, is this: What up with that? Greetings Mr. the walking man, and it is good to see you again answergirl. It has been a time of longish… time. Happy Halloween to you. Halloween costumes has often been linked to domestic crises within the Estados Unidos. And often this has had to do with the fluctuations of various markets. Take the oil shortagings of the 1970s, up through the Iran hostage crisis: It was then that you began to see the transitionings into the nylon costumings of the Incredible Hulk, or the Spidermans. And this gradually increased through the conclusion of the Cold War. Now you can see childrens’ costumes that consists of being zombie strippers, or pirate hookers. No kiddings. This is in direct correlations to the burst of the housing bubble, which any of us dead could see coming a miles away, merely by the invention and marketings of Bratz Dolls. That had future financial instability written all over it. But there is good news. Just as when ghosts and hobos came into their own after the Depression of Greatness, so will they return after there is recovery from the current situations. And no, we really is not in a recession. But we needs to be in one. And then a depression. Then comes the ghosts and hobos. 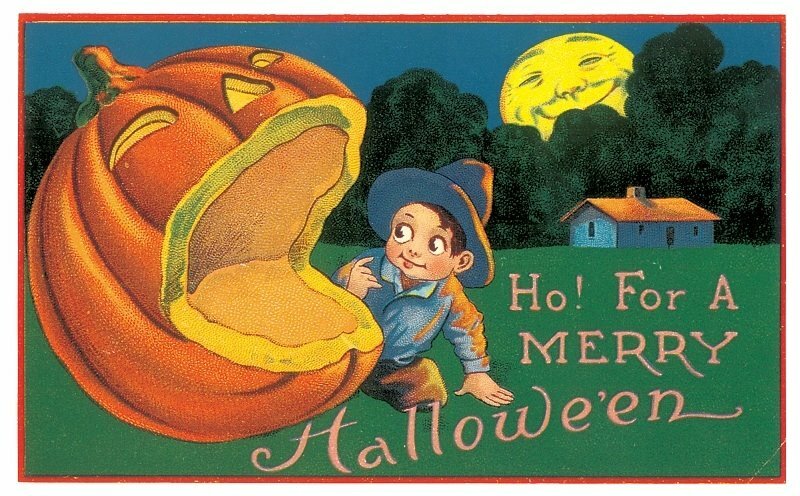 As children, we used to wonder why a neighbor’s dad was always so drunk and shaky come Hallowe’en every year. I’m talking serious excess, and yet he was hypertensive. Turned out he had, in his younger days, worked for someone known as Big Ed From Gorham. Nasty business and such. So there was some unpleasantness with late-late-night visitors, of the decedent sort, on All Hallows’ Eve. No, not ‘decadent.’ No, not ‘decent.’ Decedent. Or so he said. Perhaps epd has seen him. Oh, EPD, I could cry from missing you! 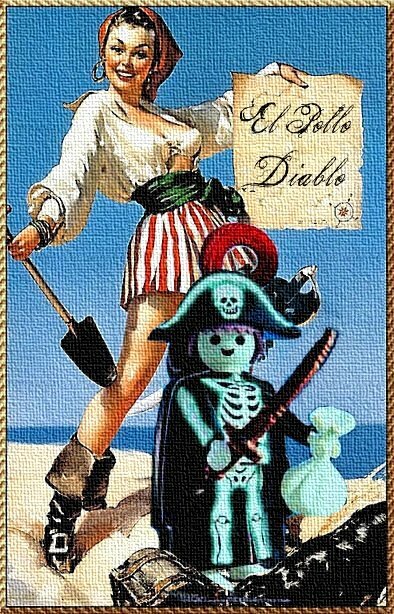 Happy Halloween to my very most favorite dead pirate! Because Pinckney was raised as a boy, he is not familiar with the universal poor girl costume- (especially poplular if your parents went through a square-dancing phase, and Mom had big full skirts)- which was gypsy. Some heavy make up, (although not as heavy as pirate hookers, obviously) a few strings of beads and a scarf around your head and you were in candy-hog heaven. EPD!!! Myspace is just not the same without you. I think if it wasn’t for checking Laura’s blog once and awhile I’d give up the whole thing myself. 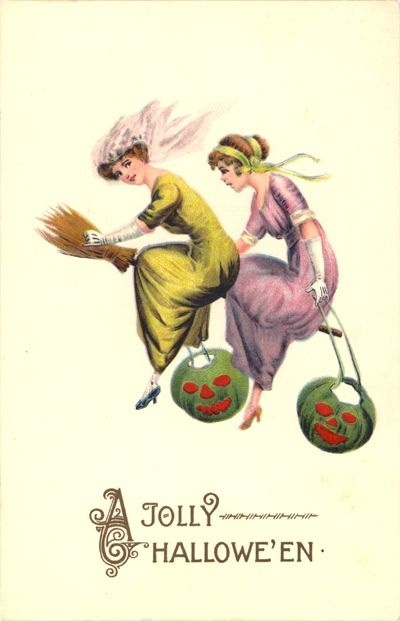 Okay, so here is my question, back in the day you had the Irish spook guy who rode around using his own head as a lantern and scaring travelers and separately you had gourds or pumpkins that were happy foods and represents fertility (and delicious pies). 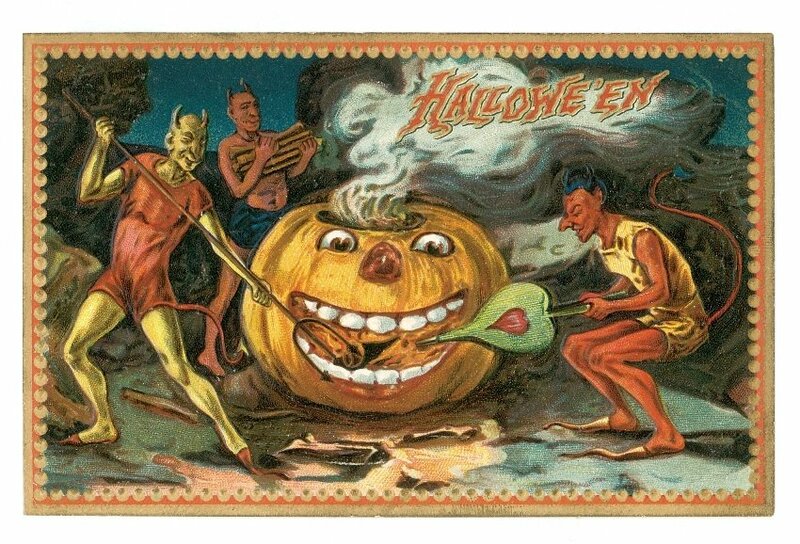 I was wondering, how in the world did the two combine to make a headless horseman with a scary old pumpkin head?! My second question, why just pumpkin pie when the world is filled with all sorts of gourd type things? IS there a squash pie? And if so, would it be as tasty? Great post. Thanks for rising from the dead for us. We all miss you. What is rising-from-the-dead time/space/continuum-type travel like? Where are all the trick-or-treaters? Has trunk or treat obliterated old-fashioned door-to-door begging? Is that why the JUMBO bags of candy are getting smaller? Less weight you have to lose yourself before Thanksgiving? Thanks, and happy belated All Hallows Eve. Such rememberings from Margy, Lan Tian, and Sheryl is warming to a dead heart. I is truly glad to has made another visit . Fondnesses to you all. Lan Tian – as to your first question, it is simply that the Headless Horseman loves pumpkin pie. And if Cool Whip had been invented way back whens, you would has seen him with a plastic container of it in his other hand. Sure his head was a good lantern, but it did not have the Autumn flavorfulness of a pumpkin pie. Even with the Cool Whip on top. Secondly, other gourds is more of the starter and main course varieties. Excepting maybe zucchini bread. Squash pie did not go over so well as a desert, though it was tried. The problem was massive amounts of molasses had to be used to make it palatable, and that made no end of diabetic problems. In fact, the Fall of 1801 was known as the Season of High Blood Sugar in the old country. So that is why squash pie did not become the mainstreams. Perhaps if someone tried it again today, using maybe the Splenda. Something for you to think about, yes? Sheryl – Rising-from-the-dead time/space/continuum-type travel is kind of a combinations of riding a roller coaster, a massive hangover, and a Swedish massage. All in a thousandth of a second. Definitely takes some getting used to, but in the end it is quite appealing. Addictive even. There is a crossing-over support group for spirits that can’t knock the habit. So keep them in your prayers, will you? Where the trick-or-treaters is? Does you remember back in the day when as youngsters you usually just couldn’t go out and buy the candies? At least, not that much. Halloween was like a treasure chests of treats that you could get no other times. Nowadays the lure of such is gone because kids can buy massive amounts of sugary stuffs at vending machines at schools and stores of convenience. Truth is, kids these days is too rich to be lured in by mere candy. If you want trick-or-treaters these days, you has to be giving out games for the Wii. Otherwise they just ain’t biting. Do not worry, though. They will be back when the economy crashes. They will be back dressed as hobos and ghosts. Once again they may appreciates the simpler things of Halloween, like peanutbuttery Mary Janes. Thank you all for your heartfelt hellos. I misses you all, but is never far.